Ultraceuticals is one of the pre-eminent cosmeceutical brands in Australia. We, at Allure Skin, use and promote the use of Ultraceuticals products for addressing major skin concerns like aging, pigmentation, and acne. Ultraceuticals offers professional-grade products and in-clinic treatments. Where can I buy Ultraceuticals? 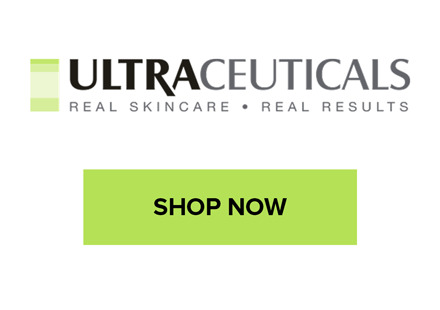 Ultraceuticals can be bought online from Ultraceuticals marketplace by clicking on the button below. You can call us at 03 9078 6578, Book Online or visit our clinic for advice or book a consultation for Ultraceuticals. We have a good stock of products of Ultraceuticals, and we make sure that our beauty clients get to enjoy the product for skin care. Our expert and experienced beauty therapist will thoroughly guide you in using and throughout the skin care treatments. With a combination of sophisticated, patented delivery systems and potent, proven anti-aging stars like Vitamin A, Vitamin C and Alpha Hydroxy Acids (AHAs), each product is formulated for maximum safety and effectiveness, so you get results you can actually see. Joining the cosmeceutical market in 1998, Ultraceuticals first launched in their native Australia before expanding globally to include New Zealand, Hong Kong, Russia, Greece and the USA. Developed by cosmetic physician Dr. Geoffrey Heber, the products are entirely Australian made and owned. This Australian heritage gives the brand the keenest understanding of protecting and rejuvenating skin placed under the harshest conditions in the world – the Australian sun.